Heading to Braunwald, Gstaad, Les Diablerets, Toggenburg, Zermatt or 700 or so other snow resorts in Switzerland and Austria? Why worry about lugging about your skipass and lift tickets, or wear them around your neck waiting to catch on something. 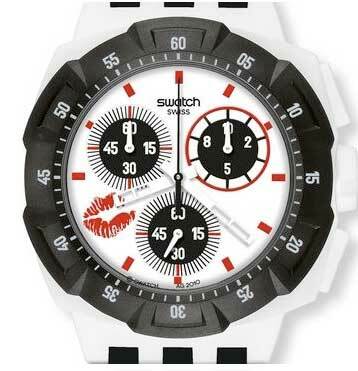 Instead you now load all of that information into a watch from the Swatch Snowpass range of watches. range has a unique identifying microchip, doubled with a unique laser-etched ID number on the back of the watch. Then you go online and buy your ski tickets, load it into the watch and then breeze on past the ticket window wave it at the gate and get on the piste at downhill speed. Up to four different applications can be sotred on the watch ot one time. Unique ID number for each watch, laser engraved and cannot be altered. For visual checks, the ID number is engraved on the watch case bottom. Unique ID readable with any ISO 15693 compliant reader. Previous ArticlePolaroid 300 camera – an instant classic?